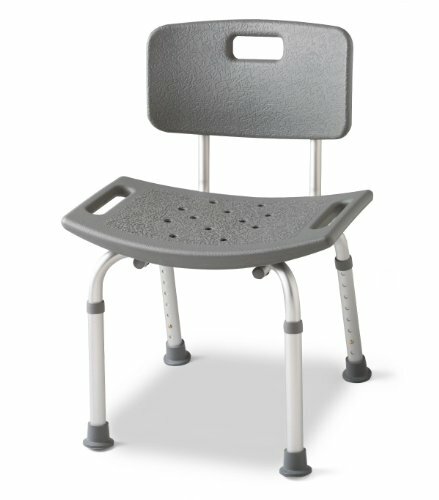 Bath benches: increased patient comfort comes from the generous, high-density polyethylene seat and back (20"w x 12"d) and angled legs that distribute weight over a larger area. suction-cup tips on all four legs provide even more stability and safety. durable aluminum frame is corrosion resistant and features seat height adjustments in 1-inch increments. limited lifetime warranty on frame. six month warranty on handles, feet, suction cups, push buttons, and any "wearable" parts. with back. non-assembled gray. If you have any questions about this product by Medline, contact us by completing and submitting the form below. If you are looking for a specif part number, please include it with your message.